Every night we've been curling up on the couch after dinner and tuning into the Olympics. I'm sure many of you are doing the same. I've really been into women's volleyball and gymnastics. I can't wait for track and field to start next. And what goes perfect with the Olympics? 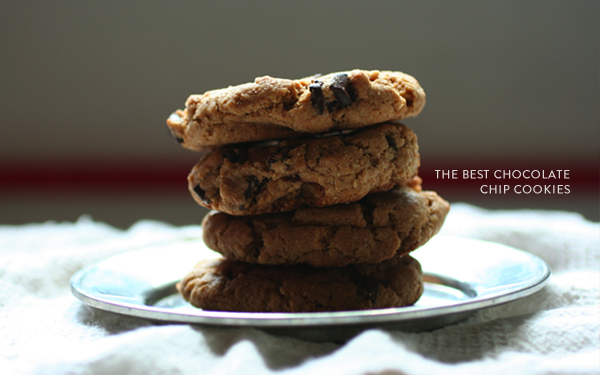 The best chocolate chips cookies, of course. After much searching for the best chocolate chip cookie recipe online, I stumbled across three different posts about Kim Boyce's whole wheat chocolate chip cookies. Luckily I had borrowed her cookbook, Good to the Grain, from a friend so I had the recipe in hand. Her cookbook is organized by the types of whole grain flours she uses in her recipes. Amaranth, barley, buckwheat, corn, kamut, multigrain, oat, quinoa, rye, spelt, and teff. All of the recipes sound amazing, like figgy buckwheat scones, quinoa and beet pancakes, olive oil cake, or apricot boysenberry tarts. It's a great cookbook to bake from and it will get you to buy whole grain flours you haven't used before. Kim uses whole wheat flour, but I used spelt instead and they still turned out magical. The perfect salty and sweet combination, as my husband says. If you don't own a kitchen aid mixer, don't sweat. You can use a food processor to cream the butter and sugar. Changes are coming to the blog and I'll be sharing that with you next week! 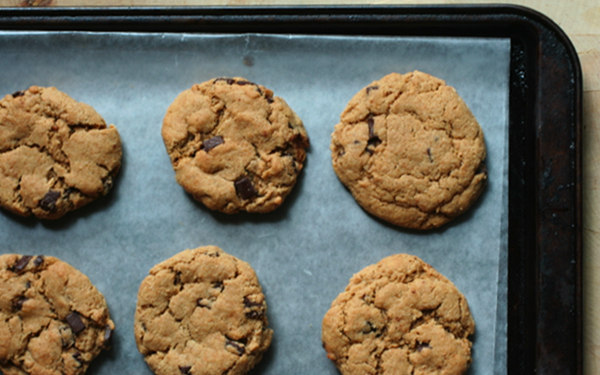 Until then make these cookies, share with those you love, and enjoy the Olympics. USA! All the way! Gabby was such a champ last night. Very true, DZ! She's amazing to watch. I've been looking for a choc chip cookie recipe that uses whole wheat flour - thanks for this, Adrienne. 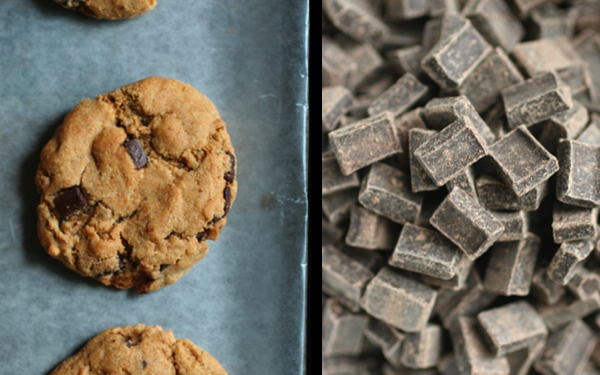 Nothing beats big chunks of chocolate in cookies - so much better than chips! Thanks to these Olympics, I have a newfound adoration for women's beach volleyball - they are rockstars! Awesome! I'll definitely be trying these! Please what is your email address? I have something important to discuss with you. oh my goodness, I don't think I've watched so much television in my life. we're olympics obsessed over here. these turned out PERFECT. Seriously. beautiful. Yum! I will have to try these! I will also have to check out that cook book. I have been using spelt flour in a lot of my baking recently, but I really would like to experiment with more. Looks soooo goood. I'll have to try them! They probably taste way better with spelt. They probably taste best though with coconut flour. I would think.